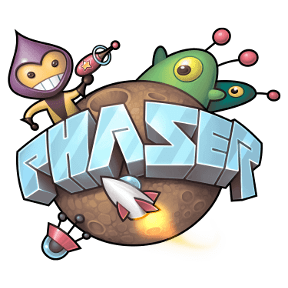 Contains hundreds of source code examples and related media for the Phaser HTML5 Game Framework. A bootstrap project for create games with Phaser + ES6 + Webpack. A simple webpack starter project for your basic modern web development needs. Adds input boxes to Phaser like CanvasInput, but also works for WebGL and Mobile, made for Phaser only. [⏸️ PAUSED] Create Phaser Web games with ease. List view class for Phaser. Great for high scoreboards.